Salesforce – Online company profile: Complete details and official website details are gathered and a collection of information is given below about Internet based website salesforce.com. Salesforce.com is established in the year 1999 by Marc Benioffa and Parker Harris. The company was initially established in the providing software as a service. The Salesforce.com Foundation is based on a simple idea: Leverage salesforce.com’s people, technology and resources to build collective knowledge and enable action to improve communities throughout the world. We call our integrated philanthropic approach the 1/1/1 model. Asia Pacific -> Singapore, Hong Kong, Japan, South Korea, Hong Kong. – Has 1,500 customers and 30,000 subscribers. – Reached 3,500 customers and 53,000 subscribers. – Introduced the first online CRM app. – Reached 5,700 customers and 76,000 subscribers. – Introduced salesforce.com enterprise edition with advance functionality. – Reached 8,700 customers and 127,000 subscribers. – Won the Computer Magazine Enterprise product of the year award. – Reached 139,000 customers and 127,000 subscribers. – Won the PC magazine Editor’s choice award. – Reached 20,500 customers and 393,000 subscribers. – Top scorer in the InfoWorld shootout. – Reached 29,800 customers and 646,000 subscribers. – Winner of CODIE Award. – Launched Salesforce CRM Content. – Released salesforce CRM for Google Apps. – Acquisition of Data.com, the largest contact database in the cloud. – Partnership with VMware to launch VMForce. – Introduced the social enterprise. – Launched the Government cloud. 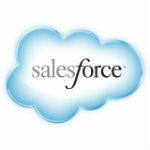 – Forbes recognized Salesforce.com as the most innovative company for the year 2011 and 2012. – Won the TMC Excellence award for the year 2012. – Won the CRM market award for the year 2012. – Winner of Stevie Award for the year 2012. Salesforce.com has the work force of 8,335 employees as on 2011. Reference: Wikipedia & Salesforce Website.